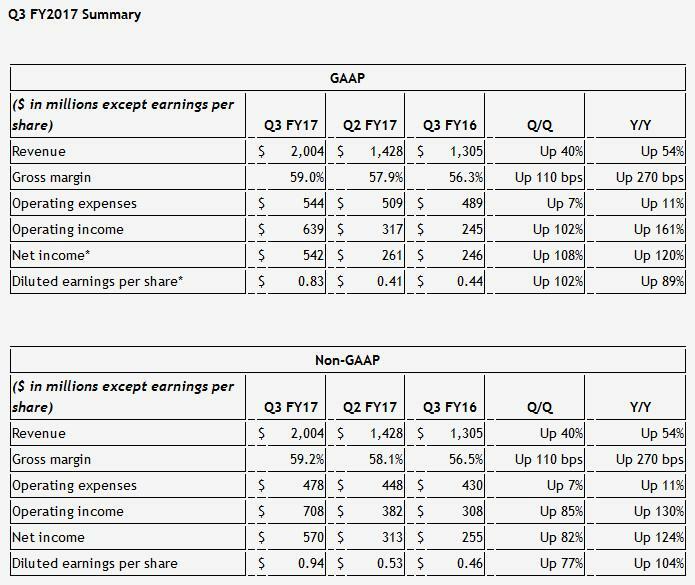 NVIDIA today posted their financial results for Q3 of Fiscal Year 2017, and they make extremely pleasant reading for anyone invested in the Santa Clara-based GPU designers. Exceeding analyst expectations, they achieved record quarterly revenue of $2.00bn in the previous quarter, up from $1.30bn in the same quarter a year ago and $1.43bn on the previous quarter. 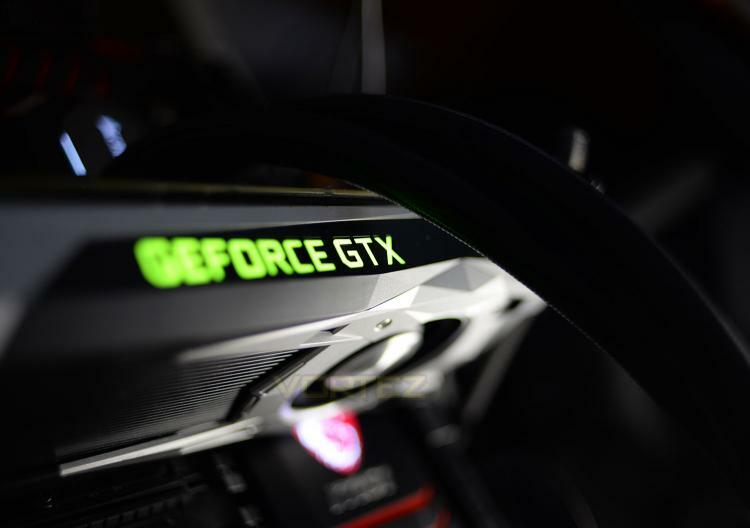 Third quarter highlights included the release of the GeForce GTX 1050-series GPUs and Tesla platforms for both Automotive and Datacenter sectors, but they clearly also benefited from continuing strong sales of the other products built with the new Pascal graphics architecture. Alongside record revenue, NVIDIA also posted record non-GAAP gross margins of 59.2%, up from 58.1% in the previous quarter and 56.5% in Q3 FY2016. Shareholders will be pleased to see a 22% increase in the quarterly cash dividend to $0.14 per share. NVIDIA shares on the NASDAQ exchange were up 14% in after-hours trading following the announcement. "We had a breakout quarter - record revenue, record margins and record earnings were driven by strength across all product lines. Our new Pascal GPUs are fully ramped and enjoying great success in gaming, VR, self-driving cars and datacenter AI computing. We have invested years of work and billions of dollars to advance deep learning. Our GPU deep learning platform runs every AI framework, and is available in cloud services from Amazon, IBM, Microsoft and Alibaba, and in servers from every OEM. GPU deep learning has sparked a wave of innovations that will usher in the next era of computing." Their outlook for the next fiscal year continues to look particularly rosy. In addition to new GPU models based on the Pascal architecture being inevitably released, NVIDIA are tying up partnerships left, right and centre across the world in Deep Learning and Automotive/Self-Drive, two growing industries in which they are a force to be reckoned with. Additionally their graphics technology is also at the heart of Nintendo's upcoming Switch games console, returning NVIDIA to the console space and potentially allowing them to grow a still nascent remote game streaming sector.